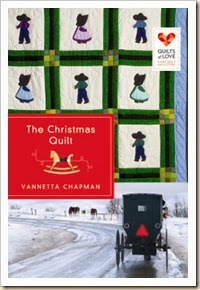 Next up on the list of book reviews is The Christmas Quilt by Vannette Chapman. I enjoyed this sweet story about two sisters-in-law who are both expecting their first babies. Leah is due near Christmas with twins and Annie is expecting her first later into March. The story shows us the love of family through thick and thin. When Leah finds herself on the floor in her bathroom, unable to get up and having contractions weeks before her due date, she knows something is wrong. As she is rushed to the hospital by ambulance Annie stays by her side. Annie’s past as a nurse at Mercy Hospital in Philadelphia comes in handy when Leah finds herself there on bed rest. Annie is able to reunite with friends, and even gets to hug a former patient. The love that these two sisters share is quite special. They encourage each other and hold each other accountable for who they are. As Leah must remain in the hospital resting, Annie keeps her company as she sews a quilt for Leah’s baby. They both share stories from their past that represent the Fruits of the Spirit from Paul’s letters in Galatians. Even one of the doctors that sees to Leah is brought into the cast of the story tellers. The stories are encouraging and full of goodness and they help Leah to stay positive no matter what is going on. This is a great family Christmas story, I suspect young adult readers would enjoy it too, mostly girls, however. This is a great book to give as a gift, or to enjoy yourself during the Christmas season! Meet the author: Vannetta Chapman has published over one hundred articles in Christian family magazines, receiving over two dozen awards from Romance Writers of America chapter groups. She discovered her love for the Amish while researching her grandfather’s birthplace in Albion, Pennsylvania. 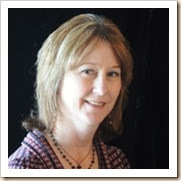 Chapman lives in the Texas hill country with her husband. To read more about this book and what others are saying check out the LitFuse Page for The Christmas Quilt. NOTE: I received a copy of The Christmas Quilt, at no cost, in exchange for an honest review by LitFuse. After three years of tenuous peace, John and Ellie Zimmerman are shocked when two old friends show up in disguise. Their world is once again sent into turmoil. Jim Kenneman, Director of National Security, masterminded the break up of a group persecuting Christians in the Lancaster Tourist Zone. Now, they're gunning for him. At first, he relies on his negotiating skills, but his best operative convinces him that won't work. Monty, a topnotch operative, worked on the Bird-in-Hand assignment and helped bring down the New Patriots. A recurring dream prompts him to rescue his boss from possible murder. The agency might not be sending him on assignment, but he knows God is directing his path – one that could wreck his career, family, and cost him his life. This book would be labeled under Amish Futuristic Suspense. If you would like to be a part of the blog tour, I would be happy to forward a PDF copy of the book to you and then set up a schedule of when everyone would post their reviews. I am hoping to get the blog tour together in December and there will also be a $25 Amazon GC and book giveaway involved also. If you have any questions, please don't hesitate to contact me. Thanks for your consideration!